Bookcases in solid wood look great and last forever. 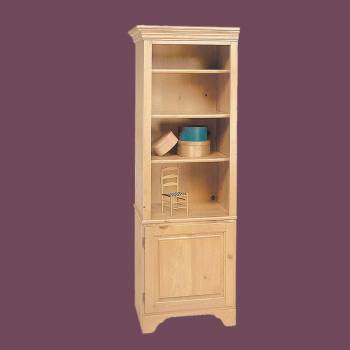 Shop for your Bookcases here today. Shaker Bookcase. Use individually or pair it with item #195910 for a larger unit. 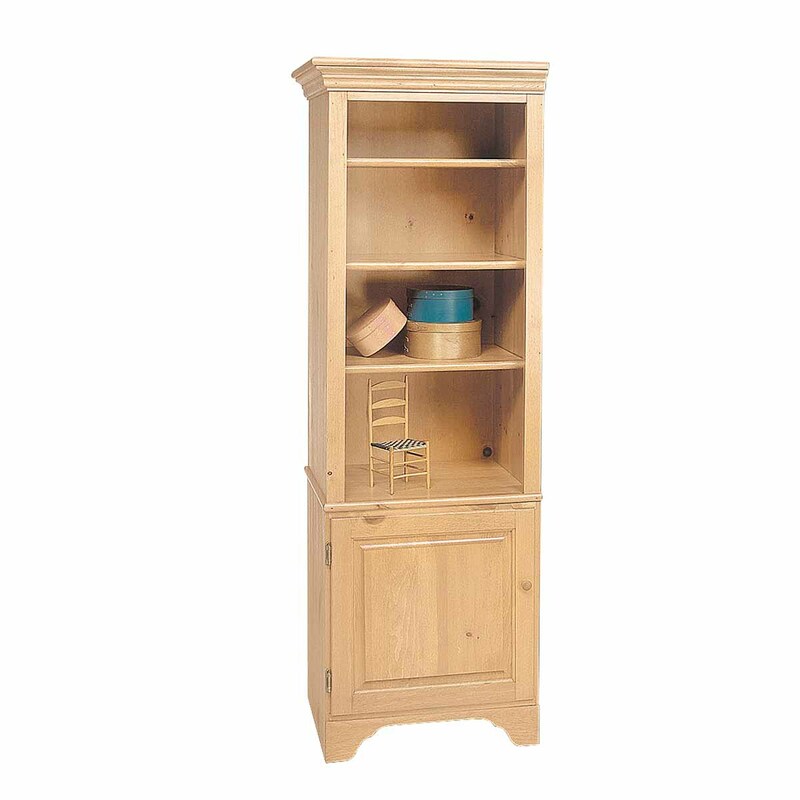 Crafted of pine this bookcase is naturally unfinished. Leave natural or stain as desired. Bottom door knob is located on the RIGHT side. Kit requires assembly. Measures 66 1/2 H x 21 W x 17 1/2 proj.